Bob Hall was born in Lincoln Nebraska and attended Elliott Grade School, Whittier Junior High School, Lincoln High School, The University of Nebraska, Lincoln and The University of Iowa. Before leaving Nebraska, he was Artistic Director of The Omaha Junior Theatre and directed in the first four seasons of The Nebraska Repertory Theatre. In 1971, he moved to New York City, where he served as resident director at CSC Repertory, The T. Schreiber Studio and The George Street Playhouse. In 1976 he co-authored The Passion of Dracula, which ran two years Off Broadway, played in London’s West End, was published by Samuel French and played on Showtime. He has directed regionally, Off Broadway and at various universities including Cornell University, Grand Valley State University, The University of Virginia and The Juilliard School. In 1986 he co-founded an off-off Broadway Shakespearean troop called The New Rude Mechanicals, which produced Shakespeare, Moliere and other classic playwrights in a New York loft. Since 2009, Hall has taught a “J-Term” course: “Creating Your Own Comic Book Story” at Hastings College in Nebraska. He has also taught numerous workshops in cartooning for students ranging from pre-schoolers to adults. In 1987 Dr. Tice Miller of The University of Nebraska, Lincoln Theatre Department invited him to return to Lincoln as Artistic Director of The Nebraska Repertory Theatre, a position he filled for six seasons. During this time Nebraska Repertory developed its relationship with Actor’s Equity Association, making it the only theatre in Lincoln operating on a union contract. After 1992, Hall lived in New York City, England and Ireland while working for Valiant Comics, returning to Lincoln in 1997 after discovering to his great surprise that he was adopted and wishing to explore that story. He also directed productions for Lincoln Nebraska’s Haymarket Theatre, where he was interim Artistic Director from 2008 – 2010. Productions include The Passion of Dracula, Hamlet, The White Rose, A Midsummer Night’s Dream, Pride and Prejudice, A Christmas Carol, I Am My Own Wife, The Fantasticks and Man of La Mancha. 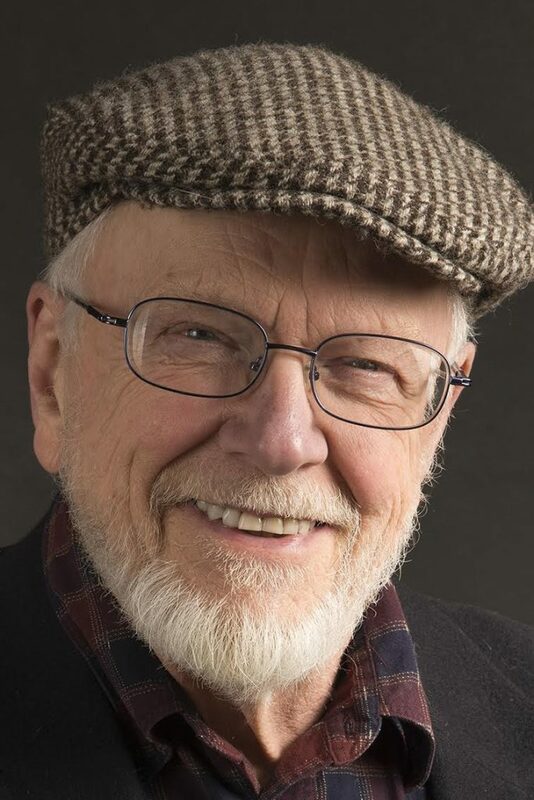 Hall just retired as Artistic Director of Flatwater Shakespeare, a professional theatre company based in the open air Swan Theatre at Lincoln’s Wyuka Cemetery that he co-founded in 2001. He has directed Twelfth Night, Much Ado About Nothing, As You Like it, Measure for Measure, The Tempest, Henry V, On The Verge, Macbeth, The Comedy of Errors, Love’s Labors Lost, Romeo and Juliet, King Lear, The Misanthrope, The Taming of the Shrew, Richard III, The Importance of Being Earnest, The Merry Wives of Windsor, Julius Caesar, The Homecoming, The Comedy of Errors, Antony and Cleopatra, Angels In America, Parts One And Two, Othello and Hamlet for Flatwater Shakespeare. Hall is currently in his third year working on an MFA in painting and drawing through UNL’s School of Fine Arts. His Thesis show will be held at The Iron Tail Gallery in November of 2017. He is a member of Actor’s Equity Association, The Society of Directors and Choreographers and The National Cartoonists Society. In 1997 Hall received a Mayor’s Arts Award from The Lincoln Nebraska Arts Council for his work with Nebraska Rep. and in 2010 he received a Governor’s Arts Award as “Artist of the Year” from The Nebraska Arts Council, an honor he shared with Robert Hillestadt. He is married to Paula Ray, a neuropsychologist at Madonna Rehab Center and a playwright.